Kabirdas, the great poet and saint of India, influenced the Bhakti movement with his writings. Even the meaning of ‘Kabir’ is ‘Great’ in Islam. He set an example by writing own made dohas. People even nowadays recite those and learn from the dohas. There is a religious community known as Kabir Panth which is the follower of Kabir and preach him as they believe it is he who created ‘Sant math sects’. The people in the community are called Kabir Panthis and are spread all over India. Kabir had written some epic Granths (books). Some of the writings include Sakhi Granth, Kabir Granthawali etc. 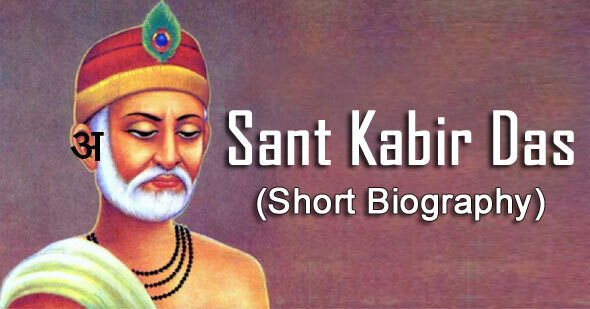 Every year Kabir Das Jayanti is celebrated on different dates. It is basically the celebration of the birthday of the poet Kabirdas. It is said that the background of his family or parents is not clear, but Kabirdas grew up in very miserable conditions amongst desolated Muslim weavers. He was a very spiritual person and became a great Sadhu. Though his birthdate is not known he is supposed to have spent almost one hundred and twenty years on earth. He was born in the year 1398. Basically, he did not take any spiritual training but received fundamentals from his Guru named, Ramananda, in his early childhood. But it was his inner voice that helped him seek the pathway. He used to write poetries on his own. He never went to acquire education. He was a self-made man and discovered everything on his own. It was his latent talent that made him create legendary writings. His writings changed the way Indians used to think. The messages in his writings were directed towards those whom we call in modern day language as below poverty line, were then called the downtrodden, poor, miserable, desolated and deprived of basic necessities like food, shelter and clothing. The primary purpose of his legends was to "protest against social discrimination and economic exploitation”. His best work is ‘Bijak’. He has his collection of writings including poetries that elucidated his universal spiritual point of view. His work is his legacy. He died in the year 1518.